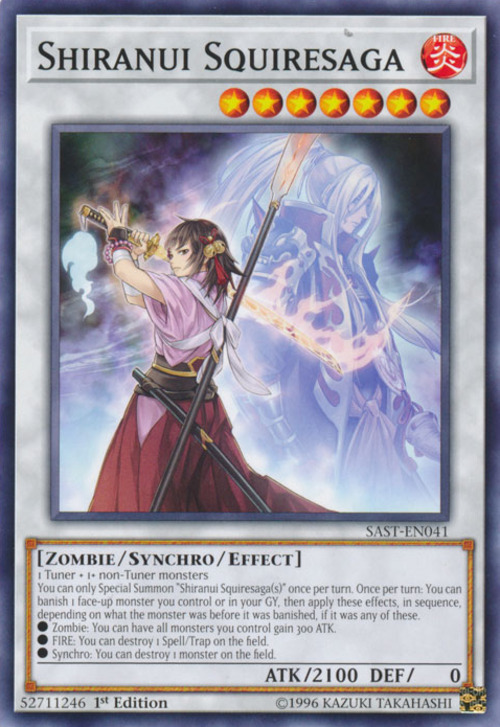 ● Zombie: You can have all monsters you control gain 300 ATK. ● FIRE: You can destroy 1 Spell/Trap on the field. ● Synchro: You can destroy 1 monster on the field. Ayakashi is a type of ghostly spirit in Japanese folklore. The name is also the basis for the Mayakashi archetype. Shiranui Squire and Shiranui Spectralsword Shade compose this card's artwork.